R - for strong disturbing violence and some language. If you could commit any crime without consequences, what would you do? 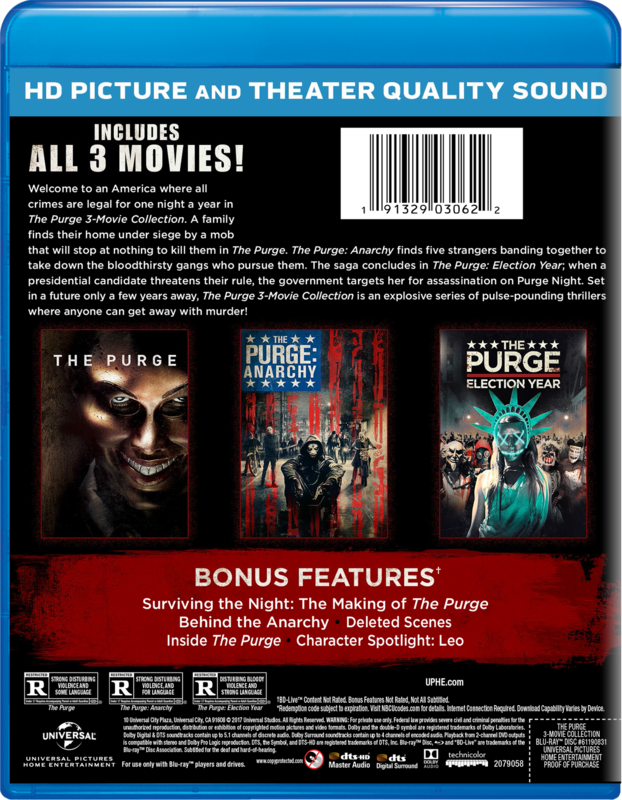 From the producer of Paranormal Activity and Sinister, comes an inventive thriller that dares you to survive the most dangerous night in America – The Purge – when all crime is legal for 12 hours. When an intruder breaks into James Sandin’s (Ethan Hawke) gated community during the yearly lockdown, he begins a sequence of events that threatens to tear a family apart. Now, it is up to James, his wife, Mary (Lena Headey), and their kids to make it through the night without turning into the monsters from whom they hide. 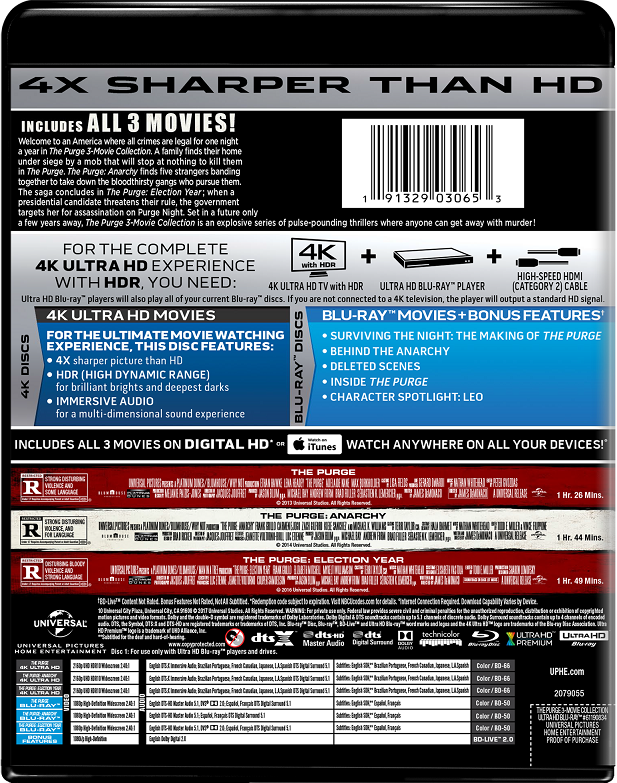 Features High Dynamic Range (HDR) for Brighter, Deeper, More Lifelike Color.